(TibetanReview.net, May19, 2018) – China has on May 17 rejected an appeal from dozens of writers and artists from across the world for the release from house arrest of Liu Xia, the widow of the late Chinese Nobel Peace Prize winner Liu Xiaobo. Foreign Ministry spokesman Lu Kang told reporters that Liu Xia’s right to travel was an issue for the Chinese government alone to determine, reported the AP May 17. 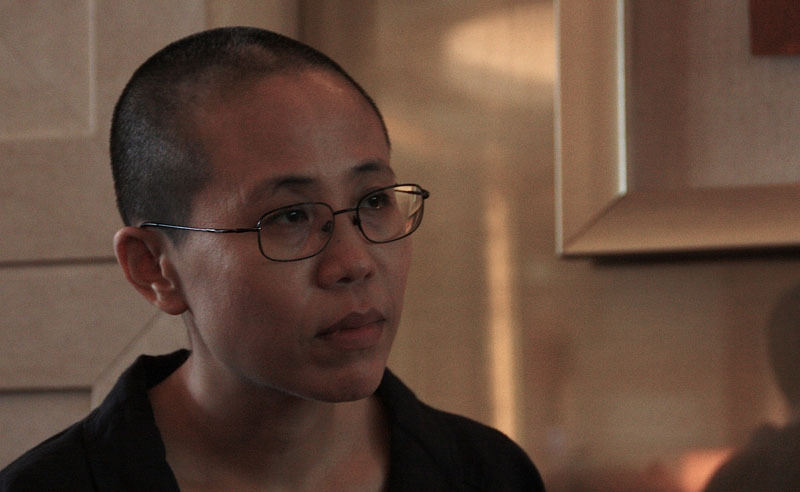 Liu Xia has never been charged with a crime, but has been kept guarded and isolated since her husband was awarded the 2010 prize. Liu Xiaobo died of cancer last year while serving a prison sentence for alleged incitement to subvert government power. Lu has not explained why in violation of China’s own law it had deprived Liu Xia of her personal freedom for so many years despite not being guilty of any offence. Earlier this month, Germany said it would welcome Liu, who suffers from depression and is believed to be in declining health, after a recording was released of her crying in desperation and indicating she had given up hope of being able to leave China. “If I can’t leave, I’ll die in my home,” she was quoted as saying during a recent phone call with her close friend Liao Yiwu, a writer who documented their conversation.